I have been inspired by Sylvia of Another Day in Paradise blogs, and her many benches prompted by Jude’s Bench Series #41. So much so I went in search of any I might have recorded. I found a few where no person or animal were seated, and then I stumbled on this one. 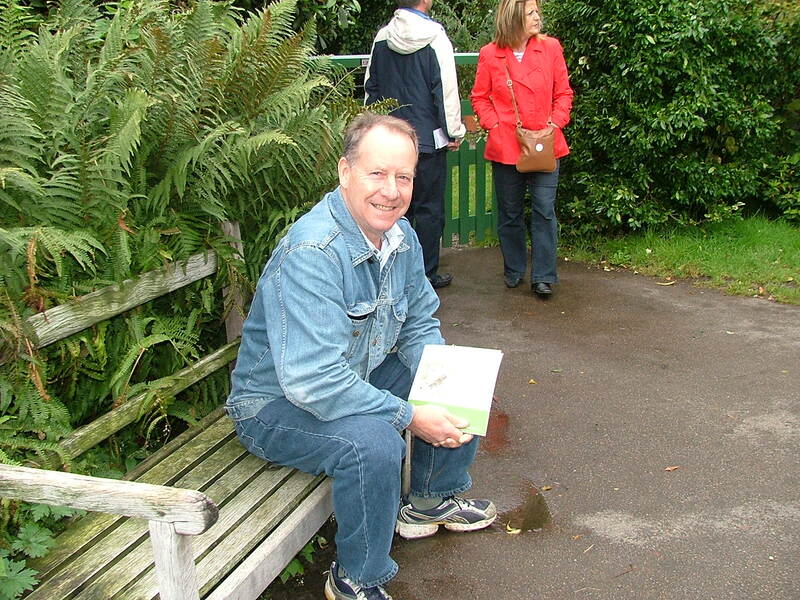 Here is my hubby, sat on a humble bench in 2007 at Beatrix Potter’s Hill Top home in Cumbria. We were heading up to Scotland, or it could have been heading back home, and took a detour to visit BP’s home. It was so beautiful there, and oh so many people moving from room to room, and then around the gardens. Re your tweet about the dogs I used to ‘make’ them myself from baby naps. Much cheaper.